Mahindra launched its latest SUV, NuvoSport, in the country today at a starting price of ₹ 7.35 lakh (ex-showroom Thane). Essentially a facelifted version of its first sub-4 metre SUV - Quanto, the new Mahindra NuvoSport packs in a lot more style and a host of new features. Marking the first launch for the home-grown auto maker in the 2016-17 fiscal, the NuvoSport is a very important product for Mahindra. Mahindra was one of the first carmakers to enter the sub-4 metre SUV space with the Quanto, but sadly the SUV never saw the success its competitor Ford EcoSport achieved. To even the odds out Mahindra even came out with an all-new subcompact SUV - TUV300, which offered the design and styling elements of a true blue SUV, which, to an extent, did indeed work. Yet, it continued to work on the Quanto facelift, a.k.a. NuvoSport, which is finally ready to join the competition. 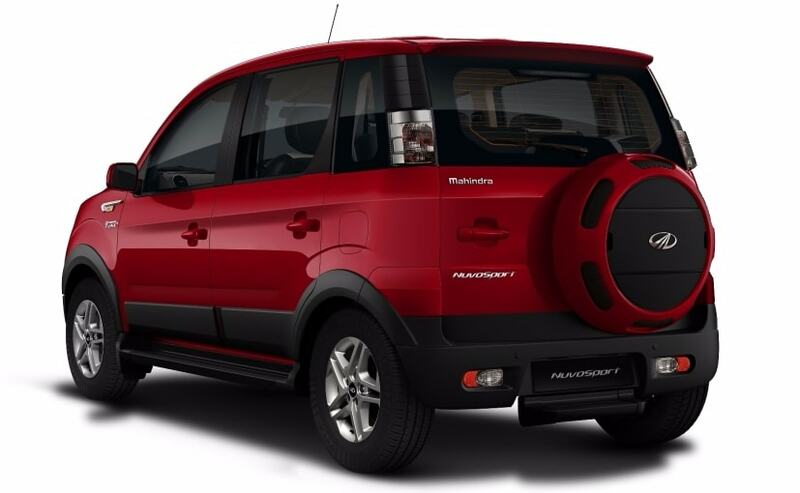 Mahindra NuvoSport was designed and developed in-house, while the research and development was carried out at the Mahindra Research Valley (MRV) in Chennai. The basic outline of the SUV remains largely similar to the Quanto and the only major update to its exterior profile is the all-new front fascia. NuvoSport now comes with a beefier front end with new head-lamps, DRLs, new massive front bumper, and a hood scoop. The side profile of the SUV looks the same except for the new ORVMs, under-body cladding, foot-board, and some chrome accents. Apart from the redesigned tail-lamps and the bumper cladding, the rear section of the car remains completely unchanged. Inside, Mahindra NuvoSport will come with a 7-seater layout and a stylish looking cabin with new trim options. The top-of-the-line variant is expected to feature a first-in-class 8-way adjustable seats coupled with lumbar support and other features like cruise control, dual DIN touchscreen infotainment system, centre console system, Bluetooth connectivity, and reverse parking camera. Mahindra has also promised that NuvoSport will meet the highest standards of safety and emissions. One must note, NuvoSport is likely to adhere to the proposed BNVSAP safety norms and may get dual airbags as an option right from the base variants. Mahindra NuvoSport will continue to be powered by the same engine as the Quanto i.e. the 1.5-litre diesel engine that has been tuned to offer better efficiency and slightly better performance. With that said, the power figures remain unchanged and the oil burner continues to generate 100bhp along with a peak torque of 240Nm. Like Mahindra KUV100, NuvoSport also comes with a PWR and ECO mode. 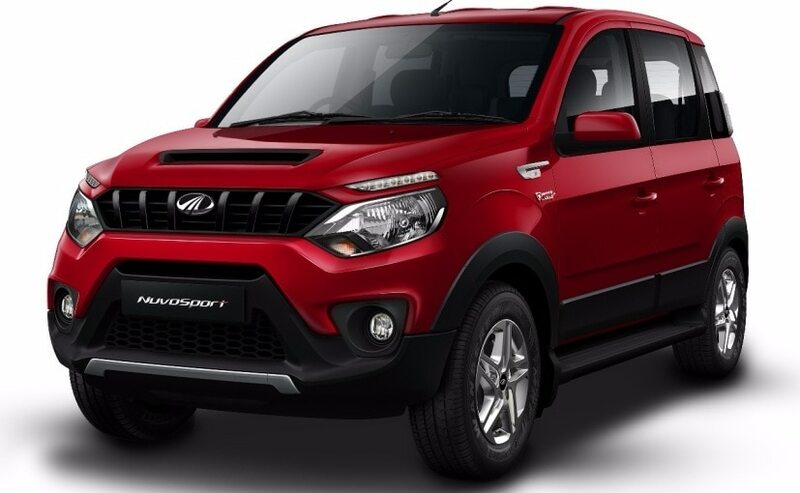 Upon its launch Mahindra NuvoSport will go up against the likes of Ford EcoSport and Maruti Suzuki Vitara Brezza. The new Mahindra NuvoSport will also be exclusively available for online booking at carandbike.com from today.